Meet Leland Melvin, your new favorite spaceman. 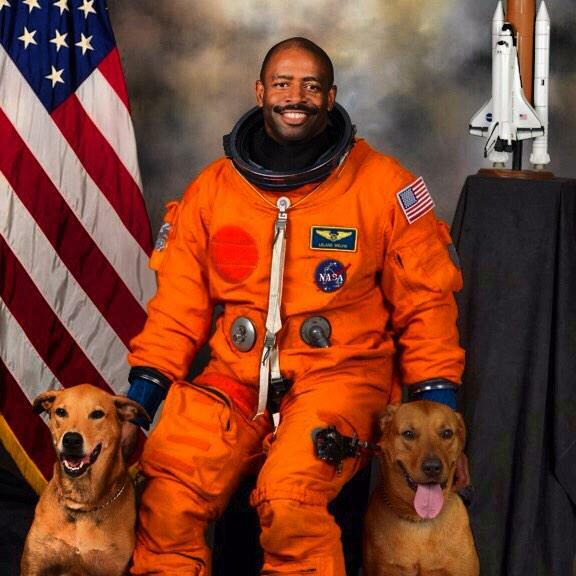 This is an official portrait for astronaut Leland Melvin. Also, his handle is @Astro_Flow. I'm in awe. 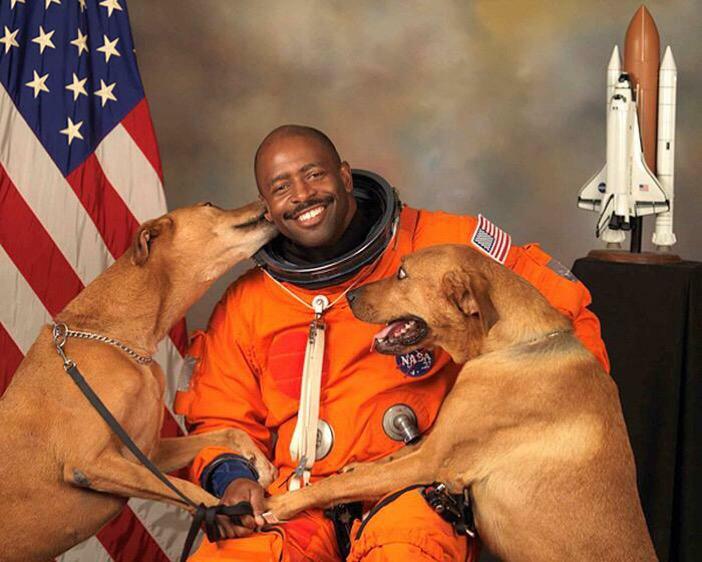 Meet NASA astronaut Leland Melvin and his dogs, Jake and Scout! Melvin has been working for NASA since 1989. He's assigned to the Astronaut Office Space Station Operations Branch, and the Education Department at NASA Headquarters in Washington, D.C. According to National Geographic, Scout wandered into Melvin's yard and he's taken care of him ever since. And of course, the internet has completely fallen in love with him and his two dogs. @Astro_Flow @MarketPlunger @AdamAton they're all "take us with u"
@Astro_Flow I want to be you. @Astro_Flow you are my favorite astronaut. I'm almost 30 years old. I'm not ashamed of what i am. Thanks for all you do! @Astro_Flow I am now following an American hero! Now, having said that, what are your dog's names? They're so cute! And best of all, after his photo went viral, Melvin shared another photo, one where Jake and Scout were behaving a little better. Aside from working with NASA, Melvin is also the host of a Lifetime series called Child Genius and has the best Twitter handle ever: @Astro_Flow.